I've gotten involved with a new homesteading website project I think you all will appreciate. 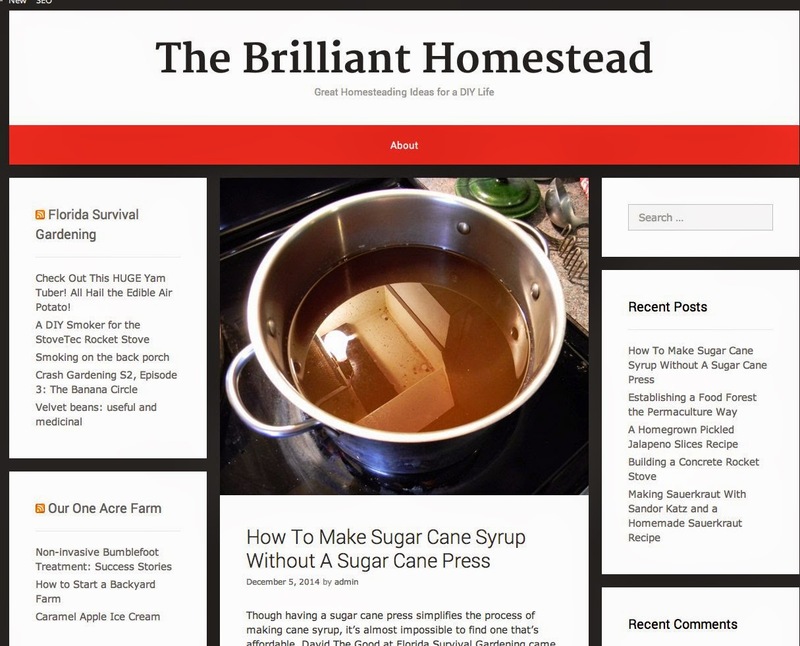 There are still some bugs; however, this site is slated to be a massive repository of good homesteading ideas and feeds from multiple other homesteading sites. From gardening to rocket stoves, greenhouses to snow shovels... it'll be there. Right now I only have a few articles and some pieces scrounged from here... but soon... soon! I think Florida Survival Gardening is too regional for some of the topics worth covering. The Brilliant Homestead will allow for a much broader range of topics. Add it to your reading list. There's a lot more on the way. And if you have any suggestions of sites or topics that should be over there - pass 'em on!